QU'EST-CE QU'UNE POLICE D' Assurance ANUELLE DE FILM? C’ est une police film d’assurance pour gagner du temps et de l'argent si vous prévoyez plusieurs projets au cours des 12 prochains mois. Documentaires, vidéos corporatifs , commerciaux, films éducatifs. Il couvre également les Clips et le court métrage. - Productions avec des périodes de tournage de + 90 Jours. Une police assurance anuelle de film offre une couverture préétabli pour un an pour votre bureau et tous vos productions - à l'exception des films et des séries avec des budgets plus de $ 150,000. Nous allons vous fournir des certificats en blanc pour l'année, ce qui vous permet de reserver les endroits et louer du matériel à la dernière minute . Responsabilité civile générale est moins cher avec une police annuelle parce que vous ne payez qu’ une fois par an et couvre l'ensemble de vos projets dans une période de 12 mois. Beaucoup moins de travail et à moindre coût de pour la couverture de chacun de vos projets. Une prime de dépôt débute à 1500 $. Vos coûts finaux de productions brutes pour toutes les productions réalisées pendant la durée de la police sont signalés à la Société dans les 30 jours suivant l'expiration ou la résiliation de la couverture. Une prime minimum de 1500 $ sera applicable quels que soient les termes de couverture. Les primes peuvent être financés sur l'année pour aider votre flux de trésorerie. Nos taux varient en fonction du rapport Film / Vidéo, types de productions et le nombre de productions annuelles estimées. La couverture de responsabilité générale (pour couvrir les lieux de tournage contre les dommages matériels ou corporels causés par votre équipe) est en sus. Par exemple, une limite $ 2,000,000 coûterait $ 750 par an; une limite $ 500,000 coûterait $ 1000 par an. Appelez-nous ou envoyez-nous un courriel pour une soumission une description de la couverture demandée ainsi que de plus amples informations. The premium must be paid by the Canadian subsidiary directly to a licensed Canadian broker who then must pay the Canadian insurer. A US Insurance Broker that does not hold a license in Canada will not be able to place business with a Canadian insurance company. Furthermore a US broker that does not hold a Canadian license is not allowed to provide insurance advice to a Canadian company – even if it is a subsidiary of a US parent company. To do so will incur a premium tax and penalties that are payable by the subsidiary. A broker licensed and domiciled in Canada will make sure that your client complies with all insurance regulations so that the policy will respond when required. A Canadian Entertainment Insurance Broker will also ensure that the premiums qualify for any applicable tax credits. This article explains the law well and in detail l and that the CRA (the equivalent of your IRS) is being stricter about enforcing it- http://www.canadianunderwriter.ca/news/excise-tax-extends-its-reach/1000405882/. At Front Row, we would be happy to assist you insure your subsidiaries inCanada. Ask us how. Bears and Film Insurance: What to Ask? 1. Current Bear Vet exam certificates. What is the value of the bear to the owner if the bear were to die? Usually the figure is based on three years revenue that the bear has earned. 2. How will the bear get from their pen/corral to their position on set in the electrified fenced area? How will the cast and crew be protected during this transit? 3. Where will the bear be on set when not filming? During this time, how will cast/crew/public be protected? 4. When bear is on set and filming, what do they do to protect public/cast/crew from bear? 5. Please confirm cast not in direct contact with the bear. Will the cast always be on one side of the electrified fence and the bear on the other? 7. Please forward storyboards of bear scenes when available. 8. Given the time of year, are there any issues resulting from the bear normally hibernating during this time of year? 9. Details of housing and transit of the bears from the permanent home. 10. The main corral structure to house the bear – is this a permanent structure? What will it be constructed of? How high will the fence be? 11. Will the bears be housed over night at the corral? 12. What type of security will be in place? 13. Will there be 24 hour attendants for the bear? 14. How will the bears be shipped to the set from out of town? 15. How are the protected during shipping? As specialized film insurance brokers we can assist with obtaining this coverage. Insurance for digital features, TV series and documentaries is rapidly evolving. It’s the case that many production companies now incorporate scenes in their films that were once captured live but are now being created, edited and manipulated digitally in post production. What this means is that the need for negative/faulty insurance is becoming gradually reduced and will soon be replaced by digital image capture, processing and storage. The highest grossing movie in the history of cinema, Avator, was shot on digital cameras as well. As digital cinematography shifts towards “tapeless” or “file based” workflows, insurers needs to ensure that they are covering similar incidences of risk, tailored towards loss and/or damage to digital media. Digital data should be covered as software under the negative coverage policy definition, and though some policy wordings incorporate coverage for digital data, the wordings might still need to be formatted and reworded for digital media. Digital capture may occur on video tape, hard disks, flash memory, or other media which can record digital data, therefore wordings need to reflect the new technology and storage devices which presently, many don’t. If the film industry moves solely towards digital film, then the risk rating and pricing related to production packages will need to be reviewed given that the risk factor between the periods of principal photography and post production will be significantly reduced and the risk of loss will be shifted towards another area such as post production. Typically insurers will require information relating to the lab and type of film used, whereas with digital cinematography the shift will be towards the type of camera being used and the experience of the operator in using an HD or Red Camera. Back up procedures will have more impact on the rating of a production. Various technical considerations arise when contrasting film vs. digital cinematography ie. when shooting on film, response to light is determined by what film stock is used, whereas with digital photography, response to light is determined by the CMOS or CCD sensor(s) in the camera, so the cinematographer needs familiarity with the specific camera model. Typical production packages are rated based on all costs incurred during principal photography and exclude many post production costs. Production company requirements are now shifting towards a significant portion of the risk stemming from post production activities. Technology innovation has meant that new vendors have emerged on the market such as RED and Silicon Imaging that are primarily focused on digital technology. What this means for insurance losses is that innovative risk control and risk transfer methods need to be addressed that specifically relate to new exposures from digital media products. The types of losses that can result stem from transferring digital date to/from 2D to 3D conversion, losses resulting from migration of data from old forms of storage to new forms. Also, Care, Custody and Control issues relating to the migration and archiving of data. As insurers revisit their policy wordings, they must ensure that their coverage and exclusions match with the industry requirements, as the advances in digital technology won’t slow down to wait out the process. While wordings might not currently exclude losses resulting from digital cinematography, insurers must ensure that new risk rating methods and coverage address the new risks that will arise during post production and storage of data. Film production equipment insurance is available from Front Row Insurance. We are specialized film insurance brokers with three offices in Canada. 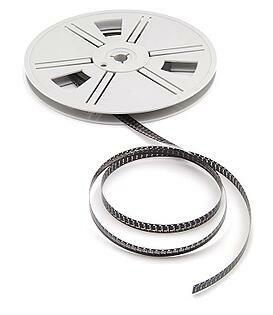 Film gear insurance can be arranged quickly through us, usually over the phone. Our program is very popular with new and established film makers because of the low cost and the simple process to arrange a policy. We can cover both owned gear and rented gear. To provide you with a quote we need a few details. The fastest way to receive a quote is to complete the short application telling us about your gear on the short application HERE . We will then call you or e-mail you with the cost within one business day or sooner. We can provide you with film equipment coverage with limits ranging between $5,000 and $10,000,000. Premiums start at $75. If you would like to add location liability, we can do so for an additional premium. Our service is friendly and knowledgeable: please contact us, we would love to hear from you – david@frontrowinsurance.com . Underwriters charge for discomfort: too little information makes an underwriter unsure of the risk. Endeavour to provide enough information to your Entertainment Broker so that they can present the risk of insuring your gear clearly. Address where the gear is housed and the construction of the building. Does the building or storage space have an alarm? Is it monitored? Are dead-bolts on the doors? Are there bars on the windows? Is there a security guard? Include a resume of the owner - Experience pays. Script Insurance Clearance Reports: Why are They Important? Script clearance research involves reading and breaking down a script and identifying all items that represent possible legal conflicts, if used as is. These items include character names, business names, locations (signage), logos, slogans and quotes, product names, schools, organizations, images and designs, music, defamatory references, and racial slurs, and the use of protected material in the form of copyrights or trademarks. Additionally, the report includes information on photographs, artwork, books, music, film clips, dialogue, props, identifiable personalities and much more. The report will be reviewed by your production lawyer who will determine if particular details may pose legal problems. The report is also distributed to the director, producers, and any other production personnel who will be creating set dressing, props, signage, wardrobe or other elements from the script. When should we start on our clearances? If you intend to release your production to be viewed by an audience, you should have a script clearance report researched at the pre-production stage, prior to shooting the script. Unless you already have a distribution deal in place, you'll need to find a distributor to release your production. As the distributor isn't generally part of your creative process, they'll want a guarantee that it doesn't contain any materials which could cause an infringement, defamation of character, or other legal problems that would result in them being sued. Clearing the content of a script before beginning to shoot is highly recommended, since some elements can't be changed once the production is finished. Failing to complete the necessary clearances could result in having to redo elements (expensive editing costs) or if that's not possible, the inability to screen or distribute the production at all. 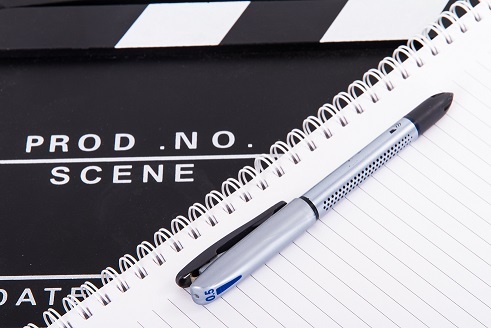 A full script report can assist you in meeting the needs of your producers e&o insurance - otherwise known as film e&o insurance or multimedia e&o - requirements. Who are these clearance people? Can anyone do a script clearance report? Script research and script clearance workers must be very detail oriented and organized. There are often many details and facts that need to be checked which means using a wide variety of specialized databases and resources, making phone calls and creative problem solving to obtain information. Understanding legal issues, copyrights, trademarks and clearance issues are a must and in a specialized field, there are very few people who can accurately advise on this topic. Krista Johnston is the owner of The Research House Clearance Services Inc., a Canadian company that provides script clearance reports, title clearance reports, footage and stills consulting and permissions placements and has clients in Canada, the USA, Australia, France, Germany, the U.K. and South Africa. For more information on clearances check out http://www.researchhouse.ca/. The Film Production insurance policy contains an exclusion under the Cast Insurance coverage for a person injured when taking part in a hazardous stunt or any special effect in the declared production, without the prior consent of the insurance company. Although these types of activities are usually reserved for stunt performers, the producer and the director should be aware of this exclusion. If actors are involved in hazardous stunts or special effects, please advise your broker well in advance so that they can make the appropriate arrangements with the insurance company. 1. Synopsis of scenes being filmed. 2. List stunts by tape, location and date. 3. Protective measures used to protect participants and public, equipment and property. 4. What is the experience of the Stunt Coordinator - please attach a resume. 5. How many people are involved in each stunt scene? Additional information may be requested. The underwriters may cover the scene based on the strength of the information - the stunt coordinator resume is particularly important; otherwise, the underwriter may charge an additional premium, or apply a higher deductible or impose a sub-limit on the limit of coverage, or, they may use a combination of all three to address the risk. If you are comfortable with a high deductible and sub limit you can often save the cost of an additional premium being charged. Be sure to talk to your Entertainment Insurance broker before you film any stunts or SPFX scenes that were not origionally in the script that your broker provided the insurance company. What Does a Film Insurance Broker do for you? A film insurance broker helps identify the risks associated with your film production whether it be a: film production, TV series, Documentary, Webisode, Music Video and so on. Once the risks are identified, they can be transferred to an insurance company for a fee or premium. The film insurance broker negotiates the lowest possible premium based on past experiance. Unlike insurance agents - who work for the insurance company - Insurance Brokers work for the client not the insurance company. Insurance brokers are recognized by law as experts in insurance. Insurance Brokers in Canada must pass a series of exams in order to be licensed. Insurance Brokers owe a higher duty of care to their clients than an Insurance Agent. Brokers represent the interests of their clients, not the insurance companies. They offer professional advice in arranging insurance on behalf of their clients. Since insurance brokers are considered under the law as professionals they are responsible for their actions and can be sued for professional negligence if their advice is deemed to be faulty. All licensed brokers therefore need to carry professional Errors and Omissions coverage. Negotiate with the insurance companies on behalf of clients. There are 240 insurance companies in Canada. An Insurance broker must be familiar with what these companies offer so that the best price and coverage is procured for the client. Comprehensive examination of the clients production to assess the amount and type of insurance required. A broker will also help the client understand what coverage they have and do not have any limits to the coverage. It is important to deal with a broker that understands the specific language shown on Film Production Policies. For this reason, it is strongly suggested that you seek out a broker that specializes in this type of coverage.